Blogging is your passion but not seeing your blog ranking high might dampen your spirits. Establishing high ranking blogs is a tedious task, while you already put a lot of effort into creating an engaging content, who has time for optimization. This has been found the main reason behind bloggers slowly succumbing to the pressure of non-performing pages. So, time to be a smart blogger! Are you a WordPress lover and own a WordPress-based blogging website? Fair enough. Make sure you get the best out of Yoast SEO. It eases away the entire stress of blog rankings to this indispensable. Although the tool is available as a free plugin with WordPress but going for a Premium plugin may be the game changer. The Premium copy of the Yoast assists you with a Redirect manager and Multiple Keyword optimization features. Yoast is vouched as the most comprehensive solution for bloggers, and that is why Yoast is running currently on 4 million sites. Each of us secretly envies the fellow bloggers for their higher rankings on search engines. Well, time to use SEMRush to rescue your blog. It is capable of providing extensive insights to competitive analysis of keywords used by the competitors. It is built to go way beyond just keywords, with SEMRush each activity on the competitor is tracked and you are given insights in which direction you must steer. SEMRush is capable of monitoring keywords, performing site audits and analyzing the backlink. When you turn the SEMRush to your blog site, be ready for some surprising insights. Brutally accurate but SEMRush pinpoints every little flaw in your website. Right from where the traffic is coming, to errors and broken links on your site, everything is scrutinized. Simply put, Google AdWords is your blogging assistant. 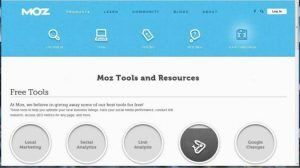 Inherently capable of brainstorming for you to pick up the best topic to highly competitive Keyword insight, the tools are almost perfect to turn your blog into a profiting reaping page. Google Adwords also expects you to adhere to some of its policies that in fact add up to rank the blogs higher. Most of the bloggers ignore how well the website is performing and this is the biggest mistake you might be doing. A very fundamental aspect of high ranking blog site is the load time. This is where GTmetrix comes to the rescue of bloggers. 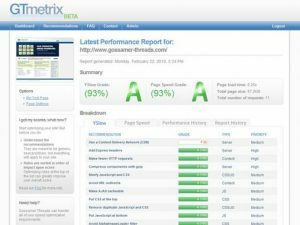 The freemium version of GTmetrix lets you test the speed of the blog site at any time of the day, and a premium version offers you recommended changes to increase the loading speed. Your blog is a mission-critical job for you, and you must never compromise on its uptime as that will impact the monetization. 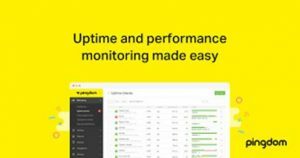 Pingdom is one lifesaver tools that send you notifications if the website is down. Pingdom even tracks the response time of the blog, so with Pingdom around your site will never go lazy. Well, you should. After all, it is the most detrimental factor in your blog rankings. At times unknowing we use certain phrases or words that are too common and make us suffer as plagiarized content. Although incepted to catch content theft, Copyscape is a useful tool for all the bloggers to avoid being caught up in the content plagiarism cases. Copyscape freemium offers lots of features, and that is why it is a globally used tool by bloggers. 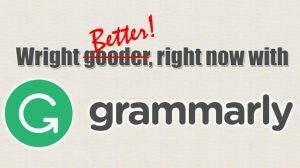 Tired of correcting grammar errors manually? You may be very creative but leaving your blog content with even a single grammatical issue may turn off your readers. Use Grammarly online tool to read your content and make it perfect extensively proof. It is the easiest useful tool, and the Grammarly premium users can even use it to catch plagiarism. Have you been finding lousy keywords in many of the tools? Switch to SEOquake. It is the perfect tool to find out the best ranking keywords. While SEOQuake takes care of the keywords, all you need to do is use these creatively in your content and watch the magic happen. A web browser extension for Chrome and Mozilla Firefox is a very promising metrics provider of the websites. 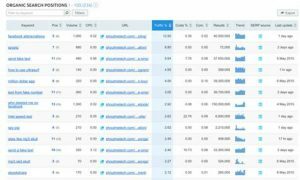 The data that MozBar extracts from SERPs and on-page metrics is crucial to improvise your blog rankings. The latest Moz version is speedy and lets you perform Keyword difficulty analysis on the result pages. 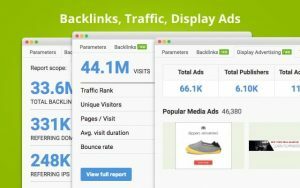 With Google Search engines claiming 97% more views to a website with more infographics, bloggers are in need of a brilliant tool to quickly create alluring data visualizations. Piktochart is the ultimate tool that comes to rescue. Set up your first viral blog with best infographic designs from Piktochart. 2018 is the best time to get rolling with the tools that take care of the indispensable tasks for a blog while the creative writer in you pens down his thoughts without bothering about the ranking and monetization. Let the ultimate tools make some noise.